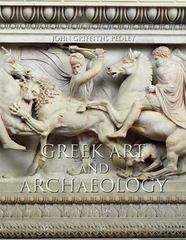 Greek Art and Archaeology 5 Edition Greek Art and Architecture explores the development of Greek art across three centuries. This extensively illustrated and clearly written text is accessible to introductory-level students. The major categories of Greek Art and architecture- including sculpture, vase painting, wall painting, and metal work in a historical, social, and archaeological context, are explored.